ShareDocs Enterpriser is a high-tech and secure document management system that create , share , preserve , procure and manage official documents. The ShareDocs Enterpriser DMS is mainly for large/medium or small size enterprises , geographically distributed companies & enterprises where business critical information is locked away in physical documents. ShareDocs Enterpriser promises 0% data leakage and secure management of documents. Since it has a provision for hierarchy-specific access , every component of the organization can access data only permissible to their role. 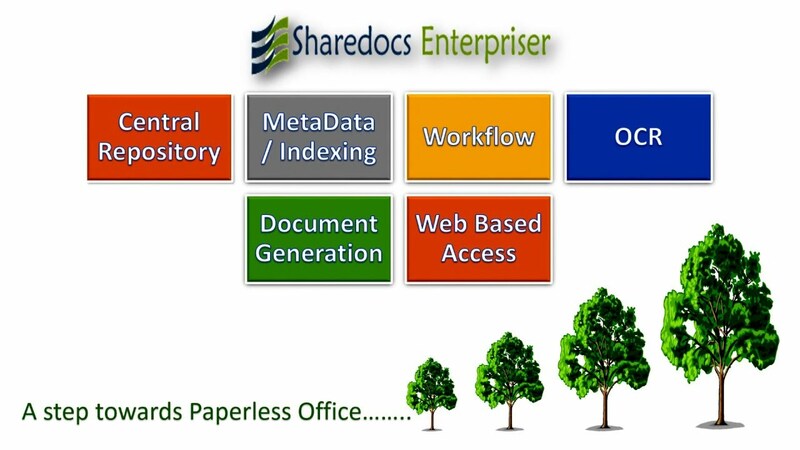 ShareDocs helps the business to go paperless also. ShareDocs Enterpriser DMS has a provision for hierarchy-specific access. Also it has a secured management system. It mainly the chances of misuse and unauthorized access. ShareDocs Enterpriser provides speed and precision in document search. It helps in searching the document with a word and phrase included in the title of the document. Documents are captured and saved in an administrator defined pattern avoiding chaos and multiple categorization , hence keeping harmony in later processes as process should not change as per employee's comfort level but should be a system-driven. Would you like to receive more information about ShareDocs Enterpriser Document Management System?